When you hear the term “expert witness” in the media, it usually concerns someone testifying in a high-stakes or especially complex court case — a medical specialist in a multi-million-dollar malpractice claim or a DNA expert in a sensational murder trial. Did you know, though, that expert witnesses can play an important role in a car accident case too? At the outset, it’s important to distinguish expert witnesses from eyewitnesses. An eyewitness is someone who sees the car crash happen. They can provide invaluable testimony about the cause of the accident, the road and weather conditions, and who was at fault for the collision. Not every auto accident claim needs an expert witness, though. So how do you know if an expert might be helpful in your case – or which kinds of experts to hire (and where to find them)? We answer those questions and others below. Why Are Expert Witnesses Important in Car Accident Claim? Auto accident injury claims hinge on the question of fault. As a general rule, victims are entitled to financial compensation from parties whose negligence caused the crash. The person claiming compensation must, therefore, prove that the other party was at fault for their injuries. Car crashes can be extremely technical in nature. After all, they involve at least two complex pieces of machinery (that is, the automobiles), and at least one multibillion-dollar highway engineering project (that is, the road itself). They might also involve questions of science (the impact of weather conditions on asphalt, for example) or mathematics (e.g. the meaning of tire skid mark measurements). And many times, the case boils down to the most complicated force of all: human nature. Expert witnesses might testify about any of these things, depending on the circumstances of the crash. In doing so, they help the parties and the court understand what caused the accident. Witnesses might also offer expert testimony about the value of damages. After all, if you claim to have suffered $100,000 in damages, the court needs to know whether that amount is reasonable and accurate. But making that determination may go beyond the court’s expertise. Only a doctor can speak competently to medical damages, for example. So far, we’ve talked about the role expert witnesses can play when they testify in court. But many auto accident claims never go to trial. In fact, at Hauptman, O’Brien, Wolf & Lathrop, P.C., we have been able to successfully settle the majority of our clients’ personal injury claims without going to court. Even if your claim isn’t likely to reach trial, expert witnesses can still play a critical role as consultants. An expert witness consultant can help you and your Omaha car accident lawyers prepare to litigate your claim. For example, experts might provide credible opinions, reports, or other evidence that help you acquire leverage during negotiations with the insurance company. They might also help you determine how much money you can reasonably claim against the defendant. Remember: the insurance company on the other side of your case will fight very hard to avoid paying you a lot of money. If the insurers can find a way to challenge your claims about how the accident happened or the damages it caused, they’ll leap at the chance. Expert witnesses can help to bolster your claim and make it harder for the insurance company to dispute your claims in good faith. Indeed, in many cases, once the insurance company learns that the victim has a credible expert witness on its side, the adjustors begin to change their perspective on settling the case. After the crash happens, you might assume there’s no way to know what happened beforehand — especially if there’s no video footage or credible eyewitness testimony. But that might not be true. There are highly trained professionals whose job it is to recreate accidents after they happen, relying on a combination of technology and their own expertise in the ways crashes happen. They are often able to establish a chain of events, which may, in turn, help you establish the defendant’s fault for your damages. Every year, mountains of new traffic accident data are published… so much data, in fact, that keeping up with it could be a full-time job. And for highway safety experts, it is. These are highly educated professionals who understand how crashes happen, the ways drivers typically behave, and how various conditions (road conditions, weather, sunlight, traffic patterns, time of day, etc.) can affect the process of collision. They may be able to provide tremendous insight into the area where your accident happened — right down to the intersection — and the various factors that might have been at play. Nebraska personal injury law recognizes several types of damages, both economic and noneconomic. Damages available in our state include lost wages, diminished quality of life, and the impact that a disability has on your ability to earn a living, among others. (Naturally, the damages available in your particular case will depend on the facts and circumstances of your injuries.) It can be difficult to put a precise dollar amount on some of these damages. An economist may be able to help you arrive at a reasonable economic basis for calculating the value of your past, present, and future losses. If your case involves a claim for pain and suffering, emotional distress, loss of enjoyment of life, or other emotional damages, a mental health expert may be able to help quantify the value of those damages. Additionally, these experts are often helpful in persuading a jury of the legitimacy of a victim’s claims to emotional distress and suffering. Because auto accidents are technical in nature, an engineer may be useful in addressing the technical aspects of the collision. Engineers can speak to the roadway’s design, the construction of buildings or physical property involved in the accident, vehicle design, and so on. There are many different kinds of engineers. Your Omaha auto accident lawyers can help you determine which engineers might be most helpful to your claim. Expert witnesses aren’t appropriate for every auto accident claim. An experienced attorney can help you determine whether an expert might be helpful in your legal matter, and then balance that against the cost of hiring a witness. At Hauptman, O’Brien, Wolf & Lathrop, P.C., our goal is always to get our clients the largest amount of financial compensation available. If, upon a careful review of the facts and circumstances of your case, we believe that hiring an expert witness could substantially increase the amount of money you might ultimately recover, we may recommend hiring one. We have developed close working relationships with experts and consultants in a variety of fields over the years. In some cases, we may be able to advance the costs of hiring an expert witness. We encourage you to contact our office and talk about your options and the most sensible strategies for your case. Hauptman, O’Brien, Wolf & Lathrop, P.C. is a Nebraska personal injury law firm with many years of experience and a long track record of getting injured Nebraskans the compensation they deserve. To schedule a free consultation with an experienced Omaha auto accident attorney in our office, please contact Hauptman, O’Brien, Wolf & Lathrop, P.C. as soon as possible. 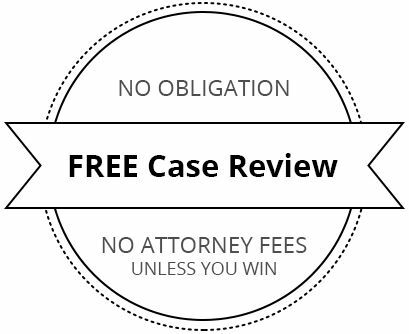 We do not charge a fee for our services unless and until you win. We are proud to offer legal representation to auto accident victims and other injured people all across Nebraska, Colorado, Iowa, Kansas, Missouri, South Dakota, and beyond. Give us a call today.